Incredible sounds from the postwar avant scene in France – a small record, but one that's had huge impact over the years! 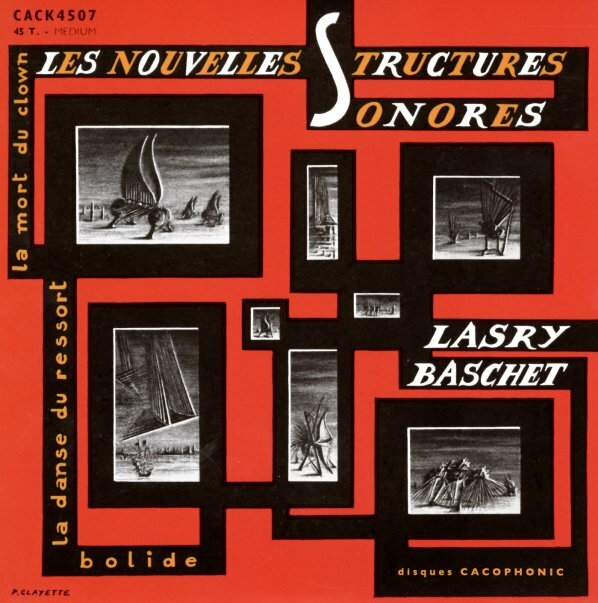 This 3 track EP features compositions based around the "structures sonores" of Jacques Lasry and Bernard Baschet – both of whom create and play these amazing Harry Partch-esque instruments that are part sculpture, part percussive tools – very groundbreaking at the time, and still pretty amazing after all these years. Even more than the instruments, though, the high point of the album is the way that the orchestrations and sonic structures work together – as the whole thing feels like an otherworldly batch of space songs that recalls some of Moondog's work, and some of the other early Musique Concrete composers from the 50s. Tracks include "La Mort Du Clown", "La Danse Du Resort" and "Bolide". © 1996-2019, Dusty Groove, Inc.